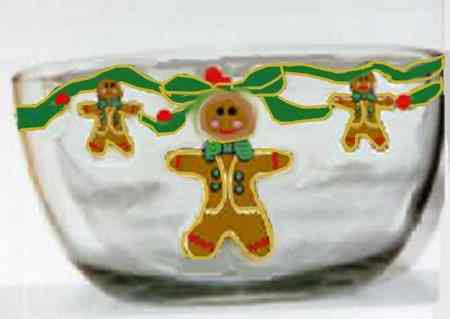 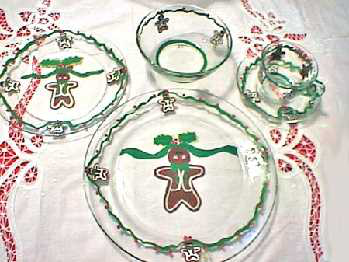 Festive and joyful gingerbread men dance around our holiday hand painted gingerbread dinnerware. 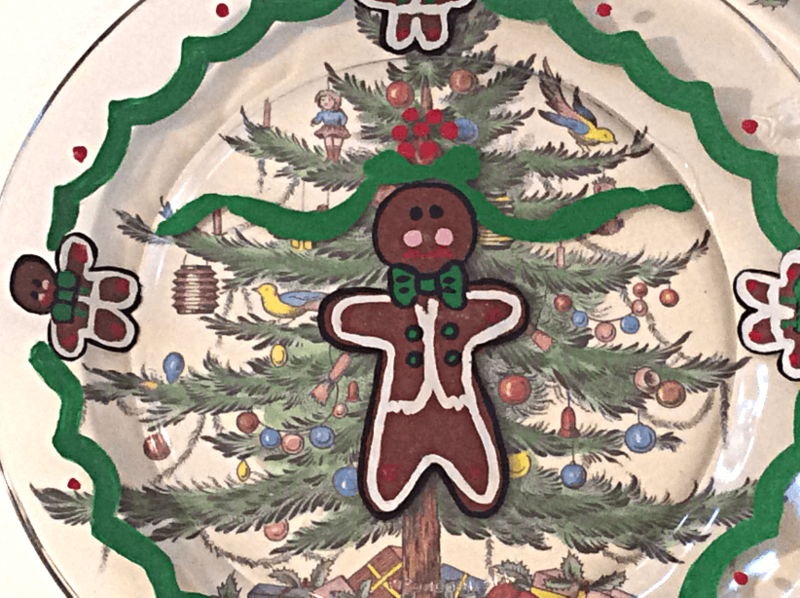 Our signature gingerbread men painted in bright reds and greens are sure to liven up any holiday event. 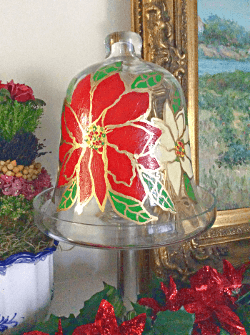 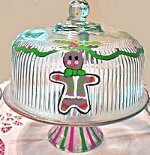 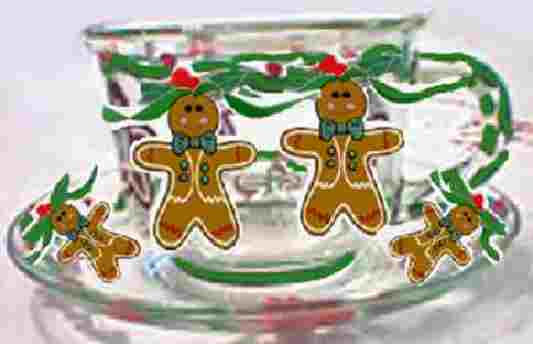 These lively little gingerbread dinnerware love to party and they are just ready to liven up you next Christmas entertaining. 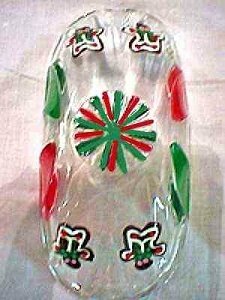 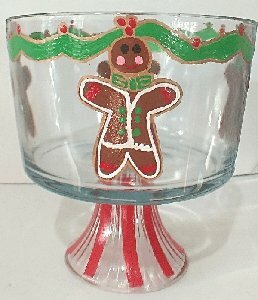 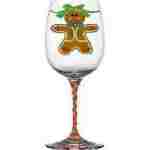 See our other gingerbread designs on wine glasses and serving pieces.